These friendly folks are the Welcome Committee to new members. 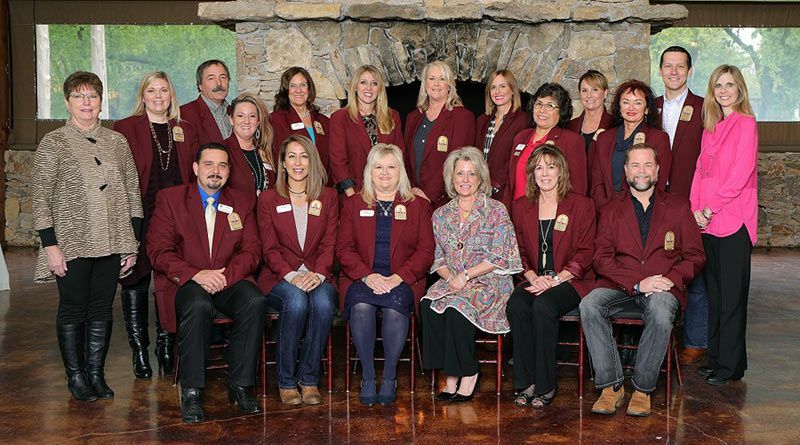 They attend ribbon cuttings and help the Chamber with many special events. There are a limited number of Ambassadors, so there is usually a waiting list. Ask us how you can become an Ambassador. The Business Development Committee meets on the fourth Tuesday of every month at 8:30 a.m. Call for location. This is the committee for you to have a voice in what kinds of programs the Chamber offers for small business. If you have an idea, the Business Development Committee can help make it happen! Organizing a series of business seminars designed to educate and motivate. Some are great for employers, some are great for employees, but there is something for everyone. Organize and participate in the Poker Run and Scavenger Hunt. These events focus on getting potential clients in your business! The Tourism Committee meets the second Tuesday of every month at 8:30 a.m. Call for location. 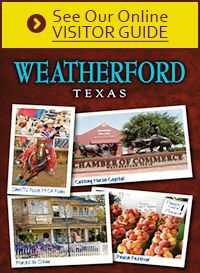 This is the committee for you if you have a business that benefits from visitors and tourists or if you're just interested in promoting Weatherford as a tourism destination. Assisting with the Parker County Peach Festival. Weatherford's largest one-day event. Participate in "Adventures" where members do site-visits of tourism-related businesses to learn more about the tourism community. Advising the Chamber on what advertising venues and promotional opportunities we should pursue. Host the semi-annual "Art in Action" art show. Solicits participants and sponsors. This event takes place in the Spring and in the Fall. The Young Business Leaders meet once a month. For ages 20-40. Individuals of this group must be employed by a Chamber member. Individuals will learn the ins and outs of business. This group will work their way to becoming leaders in our community. Luncheons will be held in odd months and mixers in even months.